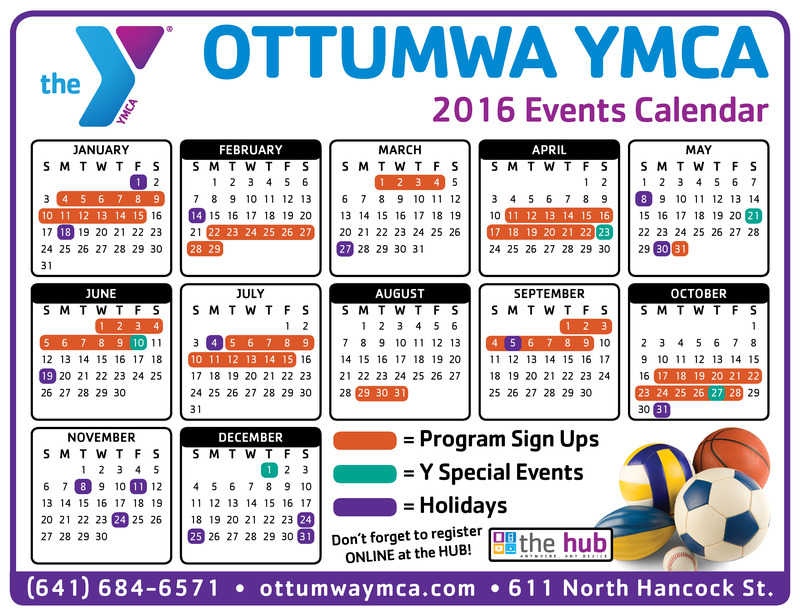 There is always something great happening at the Ottumwa YMCA! 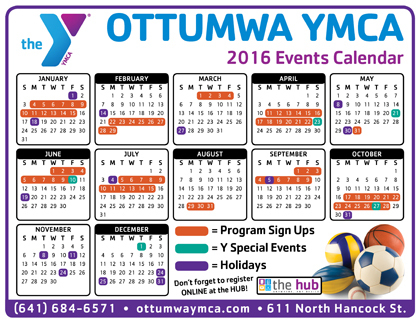 We have a very diverse and engaging program line up at the Ottumwa YMCA! Most of our programs run in a session based format. We generally have a 1 1/2 week registration period with a program run of 6 weeks. Please pay attention to the session dates for exact program run length. Our Program Session dates are listed below. Make sure to get in early on registration days to ensure you or your child’s spot in a program. All programs are first come, first serve! Click the calendar above to get a closer look! 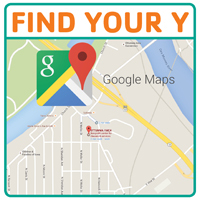 Stop into the YMCA today to find out more and get a FREE 2016 events calendar magnet!